New Horizons Washington, D.C. is now an authorized training partner of SAP, providing world class training globally on SAP software and products. 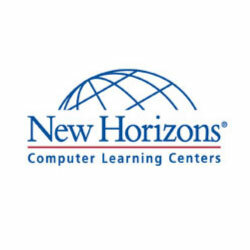 New Horizons Washington, D.C. SAP training will give a workforce the knowledge and skills needed to maximize the power of their SAP solutions and ultimately boost software and technology proficiency across the organization. Our SAP Programs list: SAP HANA, SAP BusinessObjects, SAP ERP, SAP NetWeaver, SAP ABAP, SAP Business Warehouse, SAP Supply Chain Management. It is a platform built on in-memory technology that allows customers to analyze and query large volumes of data in real-time. It is a business intelligence suite of end-user products to analyze and manipulate data. Included in this suite is BusinessObjects Dashboards, BusinessObjects Design Studio, Crystal Reports and Crystal Server. It is a powerful software to help businesses track procurement and purchasing process, accounting, and human capital management, including time management and payroll. It is a technology platform to manage SAP and non-SAP applications in a diverse environment. It is a programming language for developing applications for SAP. The SAP system is written in ABAP so learning the language allows for proper data development and handling. It is a data warehouse software that is part of the SAP Netweaver platform. SAP BW provides collection of all business data, data analysis and data mining using a set of comprehensive tools including SAP BI tools and enterprise planning tools. It is a planning engine to manage logistics and resources associated with a supply chain. SAP SCM can help with forecasting, analysis and planning of supply and demand, and optimizing the end-to-end procurement to payment process.